Today’s delicious frozen mango margarita comes from a very special cook book written by, The Husbands that Cook! Adam and Ryan live in a gorgeous home in Eagle Rock, CA where they wrote their new cookbook filled with more than 120 vegetarian recipes. They also know how to make a MEAN margarita! 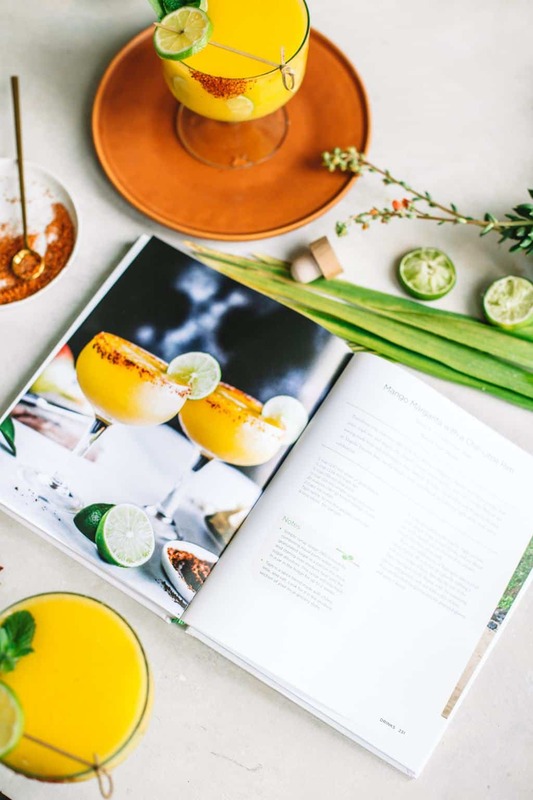 I am so excited to bring you not only a frozen mango margarita today but a little inside look from my friends, Adam and Ryan’s new COOKBOOK! When I hear that a fellow blogger has written a book during their career I get just SO excited! 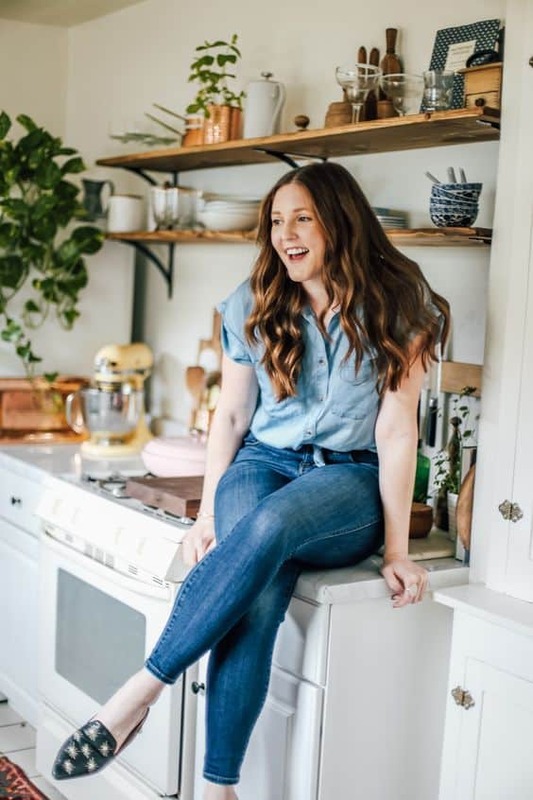 As a fellow food blogger, I can tell you that most of us have a dream to write a cookbook one day. It’s like a write of passage in this internet world. 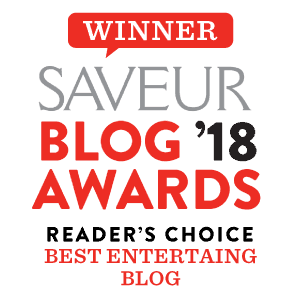 Publishing online posts everyday is so gratifying but I can only imagine how it feels having your recipes printed and bounded into a shiny book. Some of my other friends have related it to child birth and other’s have related it to a dream come true. I’m hoping one day I’ll find out for myself (and that it isn’t actually like childbirth!). 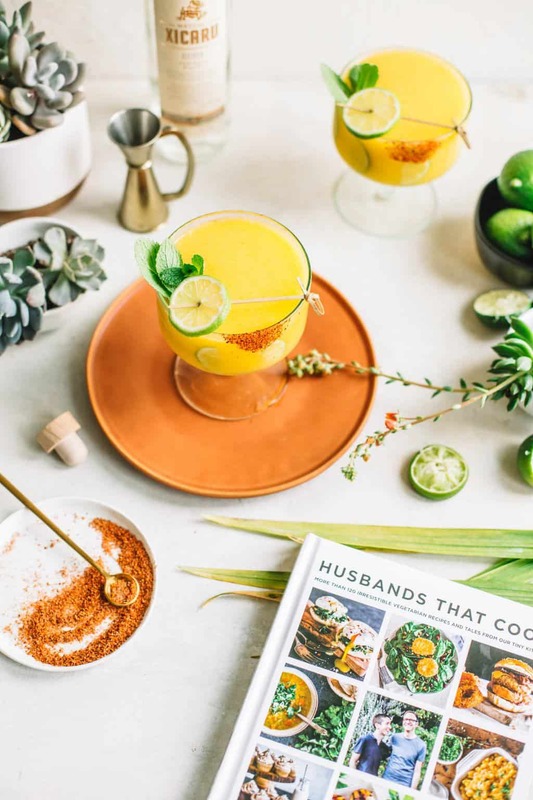 Adam and Ryan wrote this gorgeous cook book filled with more than 120 vegetarian recipes, including today’s frozen mango margarita with a spicy chili rim! But the book is SO much more than that! Each page is filled with gorgeous photography, a tasty recipe and a lovely little story that tells you a bit more about their life and their world. Two years ago I was lucky enough to head up to their gorgeous home nestled in Eagle Rock to film with them on their epic ‘insta live’ series! We made smoky Brussel sprout gratin, bonded over smoky cheese and had a wonderful time cooking up comfort dishes during Thanksgiving week. I am grateful to not only know about their gorgeous platform but call them my friends. 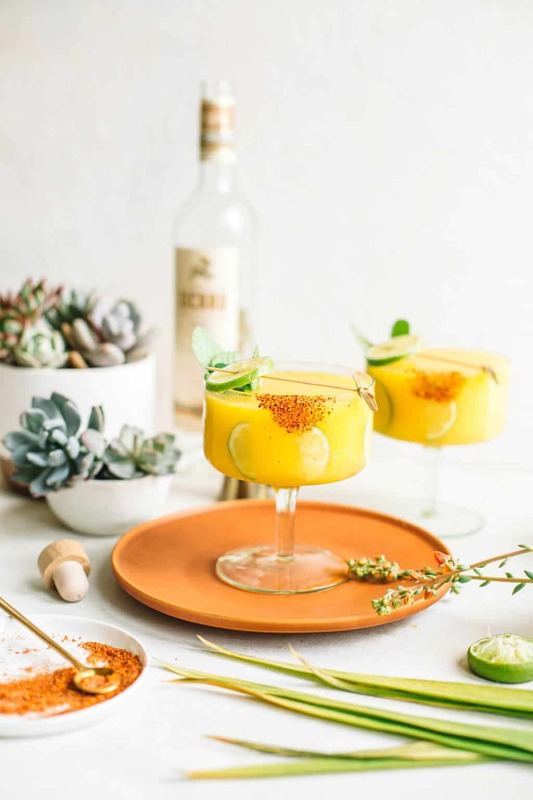 Naturally, I chose the frozen mango margarita with chili rim from their book because it was #onbrand and I love trying other people’s margs recipes! Let me just say these men like a strong margarita and did NOT disappoint! 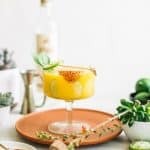 After slurping down two of these on a shoot day I can honestly say that these frozen mango margaritas would be the ultimate pool drink for me. This summer they are most certainly being made and taking directly pool side in a large pink flamingo pool floaty. I get excited just thinking about it. 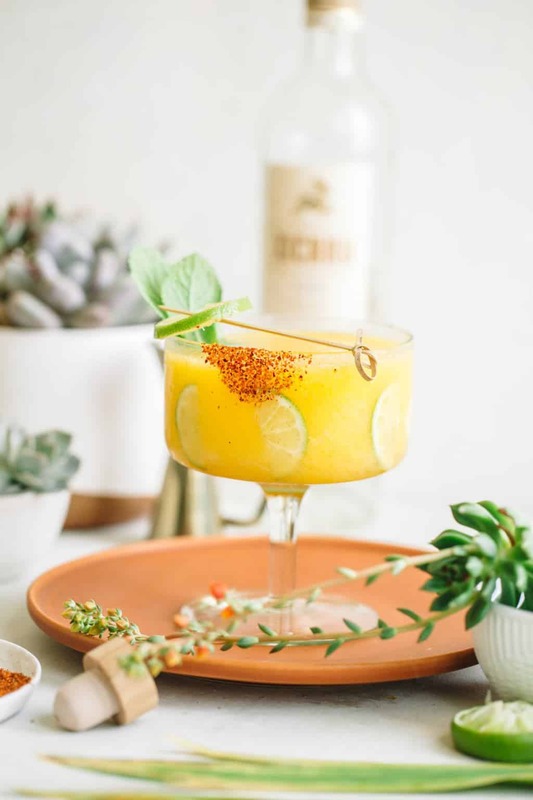 If you loved this frozen mango margarita recipe as much as I did be sure to check out their blog here, but more importantly their BOOK here! In a blender, combine the tequila, triple sec, lime juice, simple syrup, mango chunks and ice. Blend just until smooth and no chunks of ice remain, usually less than 30 seconds. Pour a few tablespoons of Tajin spice onto a small rim plate. Wet the rim of a glass by rubbing it with a cut wedge of lime, then dip the rim in the Tajin, coating it evenly. Repeat with the remaining glasses, and garnish each one with a slice of lime. Pour the blended margaritas into the prepared glasses and serve. Cheers!